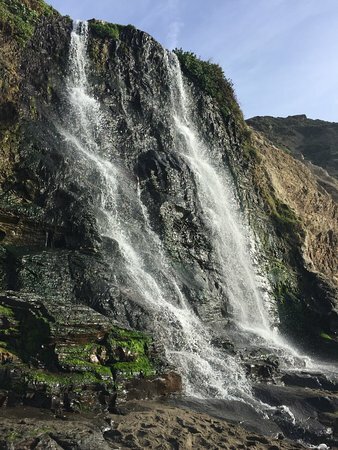 Located 30 miles south of Nick’s Cove, Alamere Falls is a dramatic 40-ft tide fall which pours its waters into the waves of the Pacific Ocean. The trail to Alamere Falls is a 7.5 out and back and takes about 3 hours to complete. The hike to get here offers countless spring wildflowers, wide ocean views, gray whale watching opportunities, and access to both Bass and Pelican Lakes. The best time to go is spring when the wildflowers are in full bloom and there’s a chance for a gray whale siting. The trail to the beach can be unstable, so we suggest to wear good hiking shoes.